When it comes to your business, one of the most important things is protecting your livelihood. Unfortunately, the facts are, for many businesses, one of their main problems can be loss prevention and theft. Especially if you own a retail business, merchandise walking out the door can seriously take a toll on your profits. If you’re thinking about installing security measures, one of the best things you can do is to install some type of camera system. 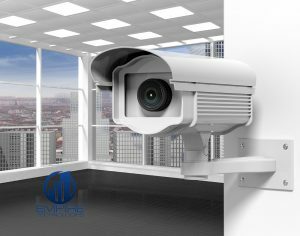 If you’ve been considering business CCTV camera installation, service and repair in Jurupa Valley, look no further than Empire Technologies. A camera not only acts as a deterrent, depending on the type of camera, but it is also solid proof when someone takes something that doesn’t belong to them. In many cases, would-be thieves can see the camera, and this prevents them from even trying to steal in the first place. If it is a camera that is not seen, you have evidence to take to the police (and to post on social media, if need be). There are many different types of CCTV systems and you’re bound to find one that works for your business. There are cameras where you can log in from home and see real-time footage of what is happening in your shop, perimeter cameras that can even help protect your perimeter and complete systems that protect every room in your business. We also provide service, repair, and maintenance for any type of CCTV system you have currently installed. To hear more about business CCTV camera installation, service, and repair in Jurupa Valley, call Empire Technologies today at (909)321-2570 to speak with a member of our professional staff. We’re here to turn your security problems into solutions.